Professor Kyung Cheol Choi from the School of Electrical Engineering and his team succeeded in fabricating highly efficient Organic Light-Emitting Diodes (OLEDs) on an ultra-thin fiber. The team expects the technology, which produces high-efficiency, long-lasting OLEDs, can be widely utilized in wearable displays. 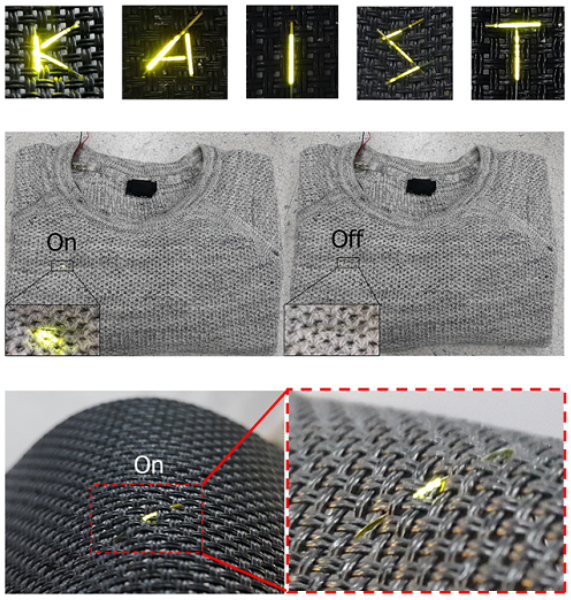 Existing fiber-based wearable displays’ OLEDs show much lower performance compared to those fabricated on planar substrates. This low performance caused a limitation for applying it to actual wearable displays. In order to solve this problem, the team designed a structure of OLEDs compatible to fiber and used a dip-coating method in a three-dimensional structure of fibers. Through this method, the team successfully developed efficient OLEDs that are designed to last a lifetime and are still equivalent to those on planar substrates. The team identified that solution process planar OLEDs can be applied to fibers without any reduction in performance through the technology. This fiber OLEDs exhibited luminance and current efficiency values of over 10,000 cd/m^2(candela/square meter) and 11 cd/A (candela/ampere). The team also verified that the fiber OLEDs withstood tensile strains of up to 4.3% while retaining more than 90% of their current efficiency. In addition, they could be woven into textiles and knitted clothes without causing any problems. Moreover, the technology allows for fabricating OLEDs on fibers with diameters ranging from 300㎛ down to 90㎛, thinner than a human hair, which attests to the scalability of the proposed fabrication scheme. Noting that every process is carried out at a low temperature (~105℃), fibers vulnerable to high temperatures can also employ this fabrication scheme. 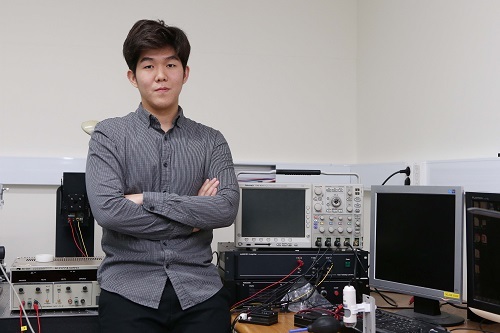 This research led by a PhD candidate Seonil Kwon was published online in the international journal for nanoscience, Nano Letters, on December 6. ﻿This work was funded by the Engineering Research Center of Excellence Program (Grant No. NRF-2017R1A5A1014708) and Nano-Material Technology Development Program (Grant No. NRF-2016M3A7B4910635) by the National Research Foundation of Korea, the Ministry of Science and ICT of Korea.